What great tips! I was a little spoiled as a child so I want to teach my children the value of money and how to save better, my three year old has a little piggy bank she likes to use but I think I need to teach her more about the concept of money as she doesn’t understand paying for things, and maybe a trip to the bank. Thanks. Found from Meetup Monday. Great idea! My daughter has just started understanding what coins and dollars are (she calls them “these monies”), so a piggy bank is a great idea! My son loves putting coins into his piggy bank. Its always good to teach kids to save their money. Early in live is better 🙂 thanks for sharing! These are such great tips! It’s so important to teach kids about money from an early age. I love how your suggestions are somewhat “tiered,” so you can introduce new money concepts as your child is ready! I love my daughter having an understanding of money, and she’s only 3! She loves ‘counting’ her money and she already chooses to buy things she wants using money from her moneybox. When she knows she has to pay for it, she really thinks about whether it is something she really wants. These are great tips. My son is 10 and he still saves in his piggy bank. They have a banking program at his school that I plan on signing him up for next year. Learning how to save money and delay gratification is such an important life skill. Thanks for sharing! I didn’t hear that school have banking programs! That is so cool! Great tips! We asked out daughter to save up 1/2 of the cost of the dirtbike she wanted and it took a year, but I think it’s her most treasured possession. 4-H clubs are GREAT training for budgeting lessons! I really like that maze piggy bank! Wonderful tips. Great tips! I have 3 kids, my oldest is 10 and my other two are 4 and 6. My oldest is usually really good with money and for the most part does great with money. My youngest though are not getting it. Thanks for these tips, it will come in handy. Fantastic tips! We definitely have a responsibility to ensure our children grow up with a solid understanding of finances. These are wonderful tips and suggestions! My girls got piggie banks when they were 2. It’s such an important step to teaching children about money. Loved this and pinning to my Deliberate PARENTING board. ive set aside $20 a week into an account for each of my 2 girls, the oldest just turned 13 and wanted an allowance. That is such a great idea. I wanted to do that for my own daughter, but some things got complicated and I gave up on that idea. I think I will try to do that again! These are some great tips. My 10 year old saves her birthday money and any other money she receives and pays for her own special things….mostly the sparkly hair clips that I hate to buy because she looses them so much. I notice that she takes care of things more when she has paid for them too. Excellent ideas! I think it is so important that kids learn about how money works and how to be good stewards of it a young age. Too often that gets missed! This is awesome, I will be pinning it and will be sharing it on my facebook page. Stopping by from A Bountiful Love. Great post. And I did not know about bank accounts for kids in Credit Union. I would like to try that. Great tips. I started putting money into a piggy bank for my son as soon as I found out I was pregnant for him. Now that he’s 5 years old he saves his money he gets for his birthday and other things in his piggy bank. He actually bought his own swing set. I think its important to teach kids the value of money when they’re little! Great post!! When I was little I remember that I was saving money to buy myself a small piano set 🙂 I was so proud when I bought that with my own money! Teaching kids about money is always so important. That is one lesson my kids have learned thoroughly. They know better than to ask me for money because they know my first question is going to be about how they can save for it, work for it, or give up something to have it. And when they come in with something they got on a clearance sale or with a coupon, we are so pleased with them – even my adult children. They are always bragging about the deals they get. Great post! That is awesome! I really hope my daughter will also be like that when she is little bit older. 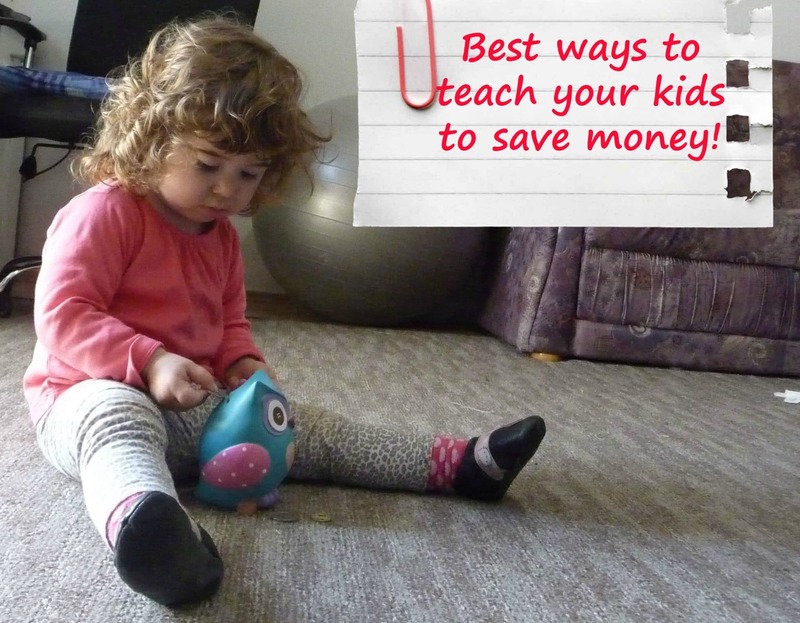 It’s so important that they understand the value about money and saving money. These are great tips! Teaching teens about credit cards, before college, is so important! So many great tips! My just-turned-3-year-old has become interested in coins the last couple of weeks. Before they were always off-limits to him (he would try to eat them), but now we are trying to teach him more about money. I need to get him his own little piggy bank, and this post was the reminder I needed to do it! Thank you for sharing your ideas with us! I’m glad I found you on SHINE blog hop! My daughter was trying to eat them too! 😀 I think she realizes now it’s not something tasty. We got her a piggy bank and she enjoys putting coins there. My son is about to turn four! I think it’s time to get a piggy bank and start learning how to save money. Thanks for all the great tips. Doh! I keep forgetting about dragging them down to get an actual account. Must do this! thanks for the great tips and the reminder to be an example! Very nice post, thanks for sharing with Hearth and soul blog hop. I love this! great article. Also, made me realize that we don’t even have a piggy bank in my kiddos room!! I need to fix this asap.